What do you want your life to be full of? 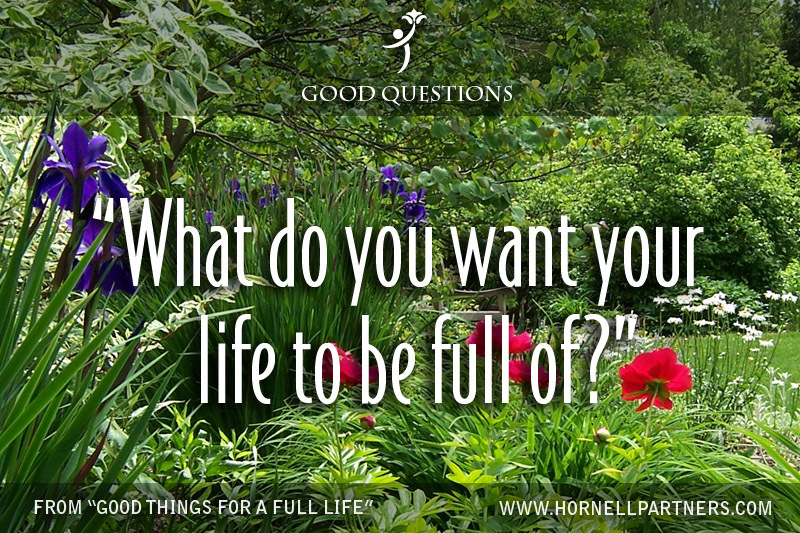 Here’s a good question: “What do you want your life to be full of?” Let this question send your mind in good directions. 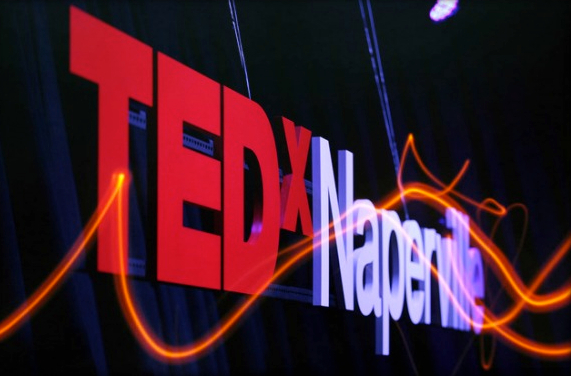 Open and save this image to the background of your computer, smart phone or tablet, or print a copy to hang by your desk. Let these words guide your thoughts to good places. 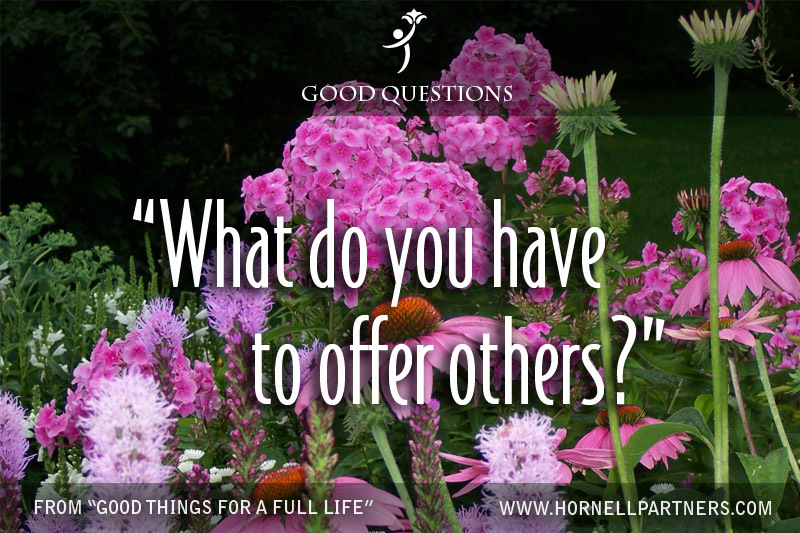 Here’s a good question: “What do you have to offer others?” Let this question send your mind in good directions. Open and save this image to the background of your computer, smart phone or tablet, or print a copy to hang by your desk. Let these words guide your thoughts to good places. 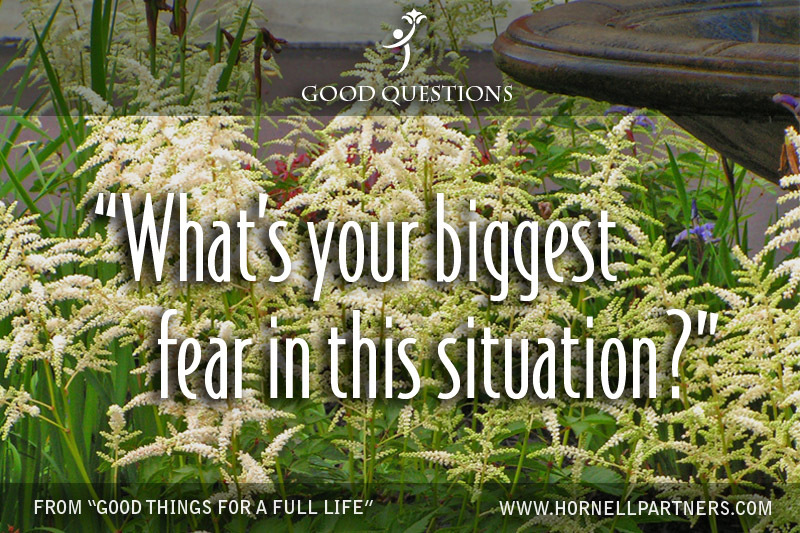 Here’s a good question: “What’s your biggest fear?” Let this question send your mind in good directions. Open and save this image to the background of your computer, smart phone or tablet, or print a copy to hang by your desk. Let these words guide your thoughts to good places.